Wayne Rooney may return to Everton. Courtesy photo. Jose Mourinho’s side Manchester United could complete a deal to sign Romelu Lukaku for 75m pounds from Everton. Lukaku will undergo medical check-up in the next couple of days and could join the team in their USA pre-season tour Sky Sports has revealed. 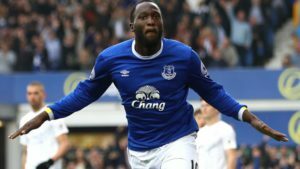 However, Everton officials said there was no deal agreed to sell Lukaku to Manchester United who has also been linked with a return to Chelsea. 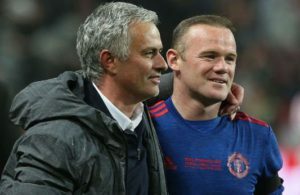 United captain Wayne Rooney might return to his old club Everton after their interest in his services increased. Everton has not yet agreed on a deal with the 31-year-old striker who started his football career at the club before joining Manchester United’s side in 2004. Controversy still stands Lukaku’s move to Manchester United. He will join his new team mates in Australia for their pre-season tour. His signing shadows the 42.5 million pounds that Arsenal signed for German midfielder Mesut Ozil. Naby Keita is set to move to Liverpool from Red Bulls Leipzig. 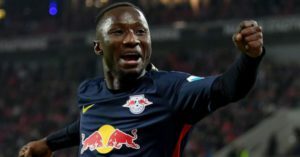 After signing Mohamed Salah at 34 million pounds and 19-year- old striker Dominic Solanke from Chelsea, Jurgen Klopp’s side is willing to make a record deal move for Naby Keita who wants to join the Anfield team from Red Bulls Leipzig. Atletico Madrid are set to make an offer to re-sign Diego Costa, according to Sky Sports. The Spanish team is still under a transfer ban till January from the court of arbitration for sport. Diego Costa fell out with Chelsea FC manager Conte and is willing to leave the club. Arsenal FC has signed France international Alexandre Lacazette for a club record 52 million pounds.